Examine collections of the Museum's key resources on major themes in American history and social studies teaching. Additional resources can be found in the main search areas of the website. 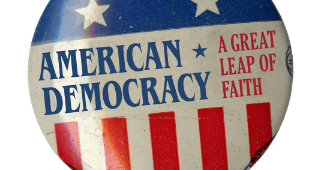 Investigate American history through the lens of the presidency with your students using lessons, podcasts, activities, and primary sources from the National Museum of American History. 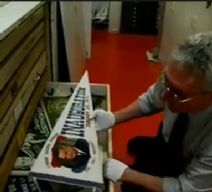 In this brief video, curators Harry Rubenstein and Larry Bird share key objects from the political history collection representing inaugurations and presidential campaigns dating back to the early 1800s. 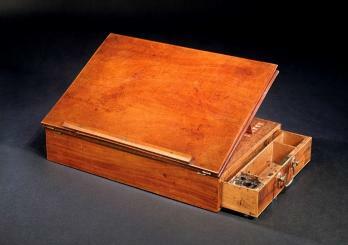 See how objects are stored and continuity and change in campaign and inaugural materials. Curators Rubenstein and Bird have collected materials at presidential conventions since the 1980s. At six feet four inches tall, Lincoln towered over most of his contemporaries. He chose to stand out even more by wearing high top hats. 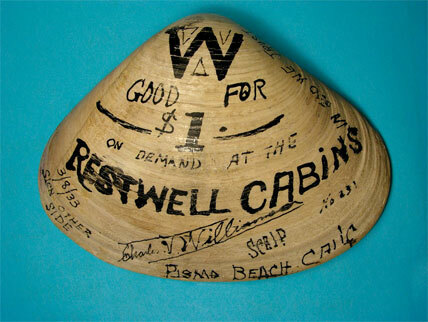 He acquired this hat from J. Y. Davis, a Washington hat maker. Lincoln had the black silk mourning band added in remembrance of his son Willie. No one knows when he obtained the hat, or how often he wore it. The last time he put it on was to go to Ford’s Theatre on April 14, 1865. 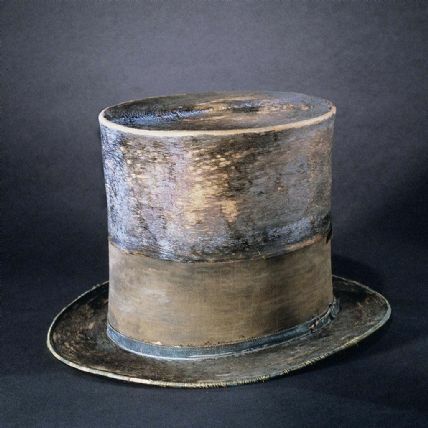 After Lincoln’s assassination, the War Department preserved his hat and other material left at Ford’s Theatre. With permission from Mary Lincoln, the department gave the hat to the Patent Office, which, in 1867, transferred it to the Smithsonian Institution. Joseph Henry, the Secretary of the Smithsonian, ordered his staff not to exhibit the hat “under any circumstance, and not to mention the matter to any one, on account of there being so much excitement at the time.” It was immediately placed in a basement storage room. The American public did not see the hat again until 1893, when the Smithsonian lent it to an exhibition hosted by the Lincoln Memorial Association. Today it is one of the Institution’s most treasured objects. In addition to artifacts and background information on the first ladies, this website features thematic overviews of the many roles of the first ladies, a timeline of first ladies, and behind-the-scenes details on the history of the first ladies exhibitions at the Smithsonian. The Smithsonian's National Museum of American History's first ladies collection includes material related to their social and political activities as well as their gowns. Learn more about First Lady Claudia "Lady Bird" Johnson, wife of President Lyndon Baines Johnson and her work to protect the environment and bring beauty to every community. This module from the OurStory program includes active reading suggestions and discussion questions for the illustrated biography Miss Lady Bird's Wildflowers, by Kathi Appelt. OurStory is a series of modules designed by the Smithsonian's National Museum of American History to help children and adults enjoy exploring history together through the use of objects from the Museum's vast collections, quality children's literature, and engaging hands-on activities. Ideal for afterschool use, OurStory resources allow students to think critically, to be creative, and to achieve academic standards both in and out of the classroom. A short video, this one is great as a lesson opener! "Political Comic Books" is the fourth episode in the NMAH webseries "Founding Fragments." Join host Tory Altman for a behind-the-scenes look at some of our most intriguing and little-known objects. Hear personal interviews with curators and get a glimpse into non-public spaces at the museum. This episode focuses on a special set of items in our Political History Collection: comic books that were turned out by presidential campaigns starting in the 1930s. Not your traditional comics, they still present men like Dwight Eisenhower and Harry Truman as real American heros. One of many episodes available on YouTube. "I want to talk for a few minutes with the people of the United States about banking." So began on March 12, 1933, the first of about thirty informal "Fireside Chat" addresses that President Franklin D. Roosevelt would deliver over the radio. His ability to communicate over this new medium directly and personally, addressing each listener as a respected friend, gave FDR a powerful tool to shape public opinion. On March 4, 1933 Roosevelt became the 32nd president of the United States. No chief executive, with the exception of Abraham Lincoln, entered the White House confronted by such deep and troubling crises. The nation was mired in its longest and worst economic depression. Approximately a quarter of the work force was unemployed, industrial production was down by a third, and the banking system was collapsing. Internationally the economic crisis contributed to the rise of fascist governments in Europe and eventually World War II. A pragmatist and master politician, FDR boldly experimented with the power of the federal government to address the urgent problems facing the nation. 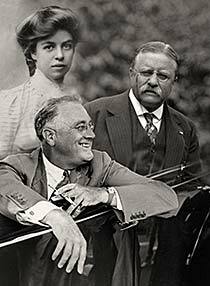 Above all else, Roosevelt's greatest accomplishment was his ability to lead, inspire and assure Americans through some of the darkest years in the nation's history. President Roosevelt was always rather amused that the name "Fireside Chat" was used to describe all the radio chats he would give during the course of his administration. He used to joke about the Washington weather, saying that it really wasn't proper for a fireside chat. On the night of the first "Fireside Chat," the microphones were set up in the Lincoln Study. All subsequent chats were held in the Diplomatic Reception Room on the ground floor of the White House. This first night of the Fireside Chat launched a new era of the Presidency whereby the power of mass communications would be used to engage and reassure the American people. The museum acquired this RCA Type 50-A microphone with the National Broadcasting Company logos on the top and sides in 1996. 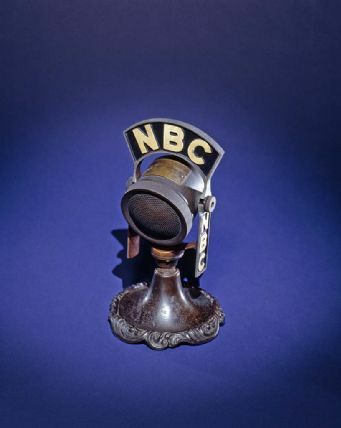 For many years it had been saved by Carleton Smith, who both set up the microphone for NBC and introduced the radio broadcasts. 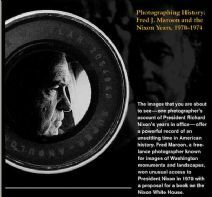 Students will learn about Nixon's presidency as well as the importance of photojournalism through the use of behind-the-scenes photographs and oral history interviews with photographer Fred Maroon. A timeline of events covering the years 1968-1974 is also included. The images included in this online resource offer a powerful record of an unsettling time in American History. Maroon was granted unusual access to the Nixon White House to document the 1970 reelection campaign as well as the major events of the Watergate controversy. Use short videos, mini-activities, and practice questions to explore the executive branch in this segment of Preparing for the Oath: U.S. History and Civics for Citizenship. The ten questions included in this segment cover topics such as the powers of the presidency, the role of the Vice President, and positions within the President’s Cabinet. This site was designed with the needs of recent immigrants in mind. It is written at a “low-intermediate” ESL level. This online exhibition examines the history of the American presidency. Through the use of objects from the museum's extensive collection, an interactive timeline and interactive activities, students will study the realities of the presidency, from its origins to the present, as well as the lives of the men who have held the office. A list of the presidents, a time line of presidential candidates, a summary of the military service of presidents as well as a bibliography and web sites related to the presidency are the resources included in the online exhibition entitled The American Presidency: A Glorious Burden from the Smithsonian's National Museum of American History. This archived webcast features filmmaker Ken Burns discussing this documentary The Roosevelts: An Intimate History. The webcast included historian Clay Jenkinson, Smithsonian curator Harry Rubenstein, and Roosevelt biographer Geoffrey Ward. The conversation covered varied topics from how Theodore and Franklin rank among other American presidents and their possible responses to the contemporary political climate, to the way in which Eleanor Roosevelt shaped the role of the First Lady and Franklin Roosevelt’s presidency, to the roles of historians and how they do their work and present pictures of the past. Through a combination of film clips, exclusive interaction with the museum’s objects, and the panelists’ comments, viewers, and audience members not only learned about the Roosevelts, but experienced the excitement they continue to bring to the public decades later. 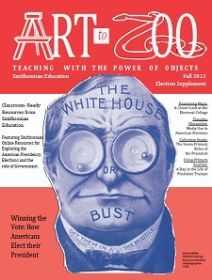 Explore the American presidency and elections in these four activities from Smithsonian Education’s Art to Zoo. Each of the four activities focuses on a different skill in social studies: examining maps, using timelines, studying collections, and using primary sources. The activities are enhanced with printable handouts for students, discussion questions for the class, and suggestions for additional resources. Want to suggest a different theme topic? Visit the Contact us page to request a theme that would help you in your classroom.